In this podcast, Nick Welter shares his experience at the 2019 NFL Annual League Meeting that were held recently at the Arizona Biltmore in Phoenix. He chats with four NFL coaches about various topics from settling in to new roles, diversity among coaches and former ASU football players. The NFL is America’s biggest and most popular sport and Welter takes a peek behind the curtain of four of its teams. 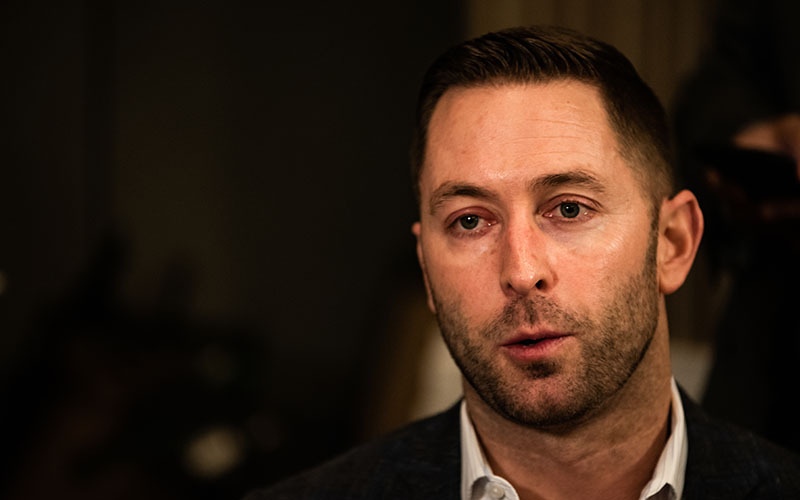 Welter first talks with new Cardinals coach Kliff Kingsbury. It’s Kingsbury’s first NFL job and he opens up about some of the differences from the college level. He also talks about the thought that goes behind selecting the first overall pick in the draft. Former Cardinals coach Bruce Arians shares the reasoning behind hiring two female coaches to his staff in Tampa Bay and why gender should not matter when it comes to coaching. Diversity among race in head coaches has also been a hot topic in the NFL over the last few seasons and the Los Angeles Chargers’ Anthony Lynn weighs in with Welter. In addition, Welter talks to Raiders coach Jon Gruden about the scrutiny he has received in his first season in Oakland and Gruden shares why he is excited to have former Sun Devils player Vontaze Burfict on his squad. Listen in to get into the heads of four the NFL’s leading men.